Revised and updated new edition of the popular and best selling handbook for all owner-builders.Home builders can contribute in many ways to reduce the use of products and processes that convert solid and liquid carbon containing materials into gaseous carbon. Everyone is now aware of the advantages of correctly oriented, well insulated houses with sensible ventilation and comfort systems. 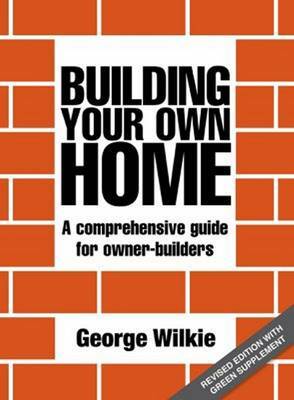 In this revised edition of the best selling complete guide to building your own home, George Wilkie updates and adds a new section on energy and environmental efficiency. An increasing key factor in building homes now is the environmental efficiency of the building function and its materials. The aim in many local authorities is to mitigate against factors that reduce the quality of the natural environment. This revised edition includes in detail the practical steps that owner builders need to take to ensure their building meets the aims of local regulations in environmental efficiency. The new section covers areas such as power sources, water saving, recycling materials, heating and lighting systems - this incorporates windows, choosing the aspect of the house, insulation systems and building structure.